Small compact unit, gets you up 4 . Wheels makes it easy to roll around. 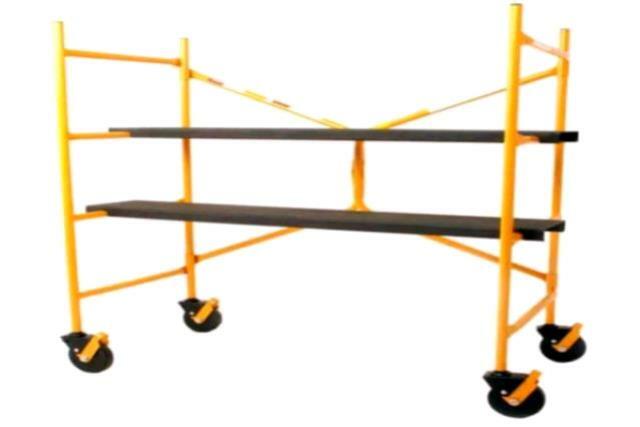 2 4' x 8" shelves make it easy to stagger platforms, or have 1 large platform area. 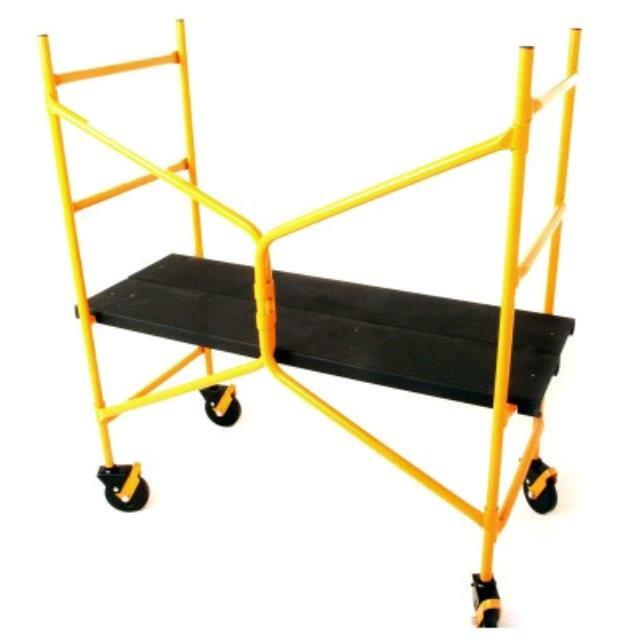 * Please call us for any questions on our scaffolding folding all in one in Concord, serving all of New Hampshire, including Manchester, Canterbury, Loudon, Hillsboro, and Northwood.